Today marks my last foray into the world of stocking stuffers – and this time I’m honing in on kid-friendly ideas for the rugrats in your household. As always, these stocking stuffers come in at a range of price points to suit whatever your stocking budget may be. Happy shopping – and playing! This cute gift ideas spans two classic realms – Mad Libs and the ‘Mr. Men’ series of picture books. Each page of this rib-tickling book features a fill-in-the-blanks story featuring your kids’ favourite characters from the books. While it’s plenty of fun and a good way to keep the kids occupied it also offers an additional bonus: your kids will be learning some language basics like verbs and adjectives, without even realizing they’re playing with an educational toy! Stash spare coins, marbles, trinkets, or whatever collectibles your kid is into with one of these little storage boxes from LEGO. Available in a host of rainbow colours, these cute brick boxes can also function as a container for your kids’ snacks – as long as they’re pint-sized enough (like raisins or nuts). Although the bricks don’t stack, any Master Builder in your household will still appreciate the opportunity to add a little more LEGO to their life. In another classic pick, why not stuff the kids’ stocking with a barrel full of fun? This classic Hasbro game challenges you to create the longest monkey ‘parade’ by linking the arms of the plastic primates – without dropping any of your existing monkeys. The longest chain wins in this addictive and straightforward game, which also helps kids develop motor skills and hand eye coordination…and honestly, adults love it just as much! Get swinging with this fun, family-friendly stocking stuffer idea. Skip writing on the walls and encourage kids to express their ‘creative’ sides with these unique, water soluble crayons meant for the tub. Sold in a 5-pack of rainbow hues, it’s a good way to keep the little ones entertained while you get busy getting them clean. 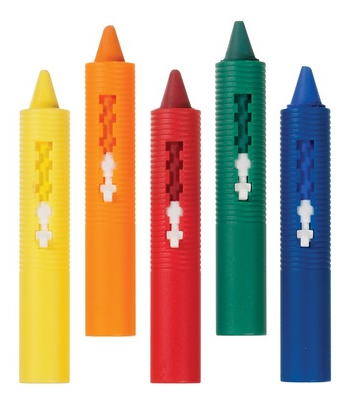 The crayons are specifically designed to be used on slick surfaces like your tub or tile walls, and can be easily washed off with a wet rag or sponge. They’re specifically designed for little hands as well, with a chunky handle so they won’t drop it too often while getting all sudsy. Forget pricy – and repetitive – plastic track sets. The world can be your little one’s oyster with InRoad Toys’ super innovative PlayTape. Available in a range of road and railroad track styles, this amazing product sticks to any flat surface, can be adjusted with ease, and is removable in a flash – without leaving residue! It’s also easy to rip, so your kids can try their hand at creating a whole wide world for the trains, planes and automobiles to traverse. And when you’re done, simply stash the tape roll away until Godzilla comes along to ‘destroy’ everything and you’re in need of a rebuild. InRoad Toys does ship to Canada, but they’re also available at select fine toy stores across Canada. Contact your local toy shop if they don’t already carry it to see if they can get some in stock – trust me, your kids will be clamoring for more rolls once they’ve got their paws on this stuff. Everyone knows that Barbie is nothing without her wardrobe – and instead of adding another doll to your daughter’s collection, why not just add a few new outfits to the mix? These appropriately festive ensembles above all come with matching heels and clutches, and plenty of sparkle and shine to make Barbie look glam wherever she’s going. It’s a super cost-effective way to keep Barbie – and your girls – super happy. What a super cool, super Canadian stocking stuffer for kids! This pint-sized book teaches kids tons of facts about Canada, by traversing from coast to coast and highlighting cool historical moments and fun attractions through charming drawings by Peter Cook. After reading a sentence that introduces that particular slice of Canadiana, your kids will be encouraged to ‘doodle’ in the complete picture, like a ballet dancer for the Royal Winnipeg Ballet (Canada’s oldest dance troupe) or a pile of cheese curds and gravy to create some poutine on top of a drawing of fries. It’s a neat way to get your kids interested in the great country we call home – and it’s the perfect size for your kid to have in the backseat during that road trip to Grandma & Grandpa’s house. For the budding car enthusiast, I present you with a series of 3D car puzzles that will allow your little one to literally ‘build’ their dream car. Available in a range of different luxury models – from a Lamborghini to a BMW and beyond – each kit comes with approximately 60 pieces that your child will have fun stacking on top of one another. It’s a lot more brainy than a typical car kit, and your kid can display their new wheels after they’re done. Collect’ em all and give your son or daughter something to aspire to. Where was this when I was growing up? This is an ingenious device for any baby Picasso in the household. 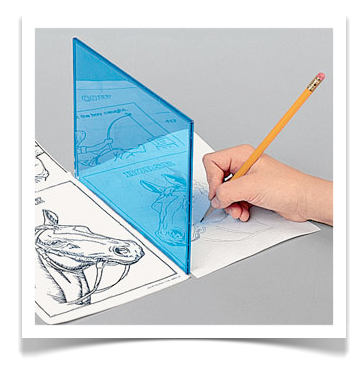 Simply stand this reflector up and it’ll give your kids an outline to trace onto a blank sheet of paper – helping them to grasp the lines and shapes that make up drawings of any type. Not only does this kit come with the reflector, it also comes with six blank pages and six starter drawings to get their fingers nice and nimble when drawing away. While a little more challenging than colouring, the potential rewards (and boost to your child’s hand eye coordination) will surely be worth it! 1) First: you must be a subscriber to the Canadian Gift Guide to enter this giveaway – it will take you a mere moment to sign up! Just find the ‘Gift of Gab’ box on the righthand side of this page and either hit Follow or enter your email address. Once you’ve done that (or if you already did it before), simply leave a comment on this post by December 30, 2014, telling me what your favourite ‘Stocking Stuffers for Kids’ gift ideas are from this post. 2) Entries are limited to one per person / per email address / per household (or more if you score bonus entries). A random draw will be conducted on or around December 31, 2014 to select the winner(s), who will have 48 hours to respond before another winner is chosen in their place. Like Nestlé on Facebook and leave a comment on their wall regarding the flavour of Turtles you’re most interested in trying out (for a refresher, check them out here). Leave a link back to your wall post in a separate comment below. Like InRoad Toys on Facebook and leave a comment on their wall regarding your favourite product from their line. Leave a link back to your wall post in a separate comment below. Follow Raincoast Books on Twitter and send out a Tweet that tags them and me (@cdngiftguide) and mentions Canada Doodles. Link back to your Tweet in a separate comment below. Like Carly’s Regal Gifts on Facebook and then leave a comment on their wall regarding your favourite stocking stuffer for the kiddies from the Carly’s Regal Gifts website. Link back to your wall post in a separate comment below. I like the snazzie Barbie Outfits – great stocking stuffers! Oh I love them all! 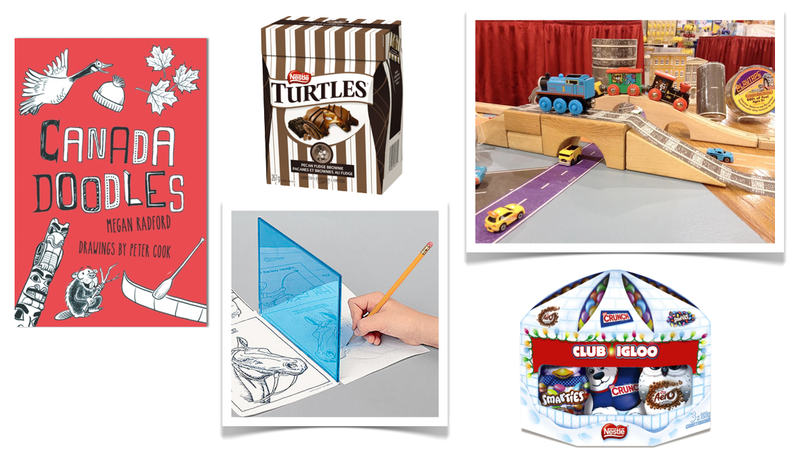 But especially the Reflect-A-Sketch kit, the Canada Doodles book and the LEGO mini trinket boxes. Thank you for the great ideas! My grandchildren would love these, especially the Reflect a Sketch. My favs are the Canada Doodles & the Lego trinket boxes! I’m so happy that Mr Men/Little Miss characters are still around! Barbie clothes–what an excellent idea! My girls have many Barbie’s, and play with them sporadically so I didn’t really want to get them new dolls…but they ooo and ahhh over all the advertised dolls. Might be a nice compromise 🙂 Barbie clothes is my favourite of the day! The best stocking stuffers I think, would be Barrel of Monkeys (hours of fun) and the ‘Canada Doodles’ book. I like the Reflect-a-Sketch for my granddaughter. The Club Igloo and the Lego trinket mini boxes! My favourite ‘Stocking Stuffers for Kids’ gift idea is the 3D car puzzle. I love the reflect a sketch and the Canada doodles. Reflect a sketch and the Canada doodles would also be fun for the adults . The barrel of monkeys – one of those classics that never gets old! The Reflect-a-Sketch is a great gift idea & for the really young ones I like those Munchkin Bath Crayons. My favourite is the Reflect-a-Sketch kit. My favourites are Mr Men & Little Miss Mad Libs and Nestlé Club Igloo. 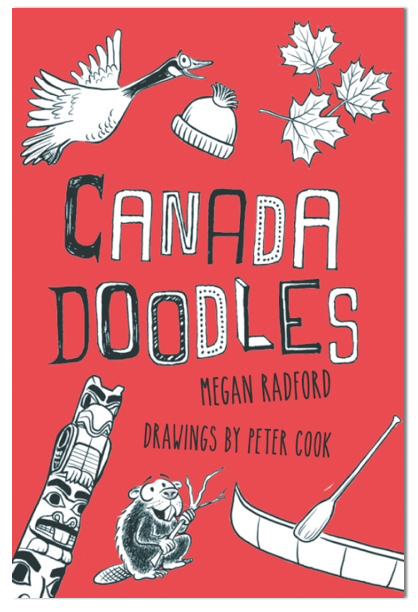 My favourite is the Canada Doodles book. I know a little girl who would love it. I like the Barrel of Monkeys. My favourite stocking stuffer is the Reflect A Sketch. My ten year old is Lego crazy and would love this: LEGO Mini Trinket Boxes – $5.95 each @ ROLO I have never seen them before -but will start looking for sure! My fav. stocking stuffer for kids is the chocolate-they would love it! 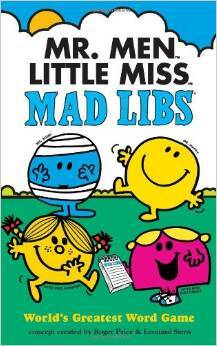 My favourite Mr Men and Little Miss Mad Libs is my favourite! 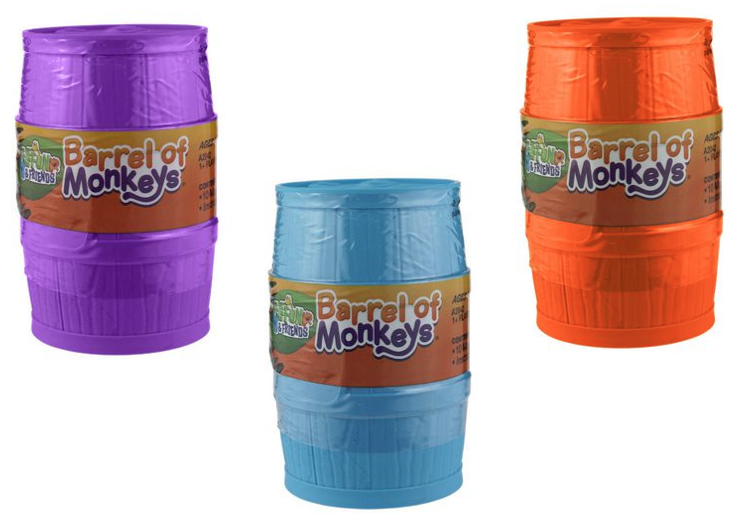 I love the barrel of monkeys! Barrel of Monkeys was so much fun! 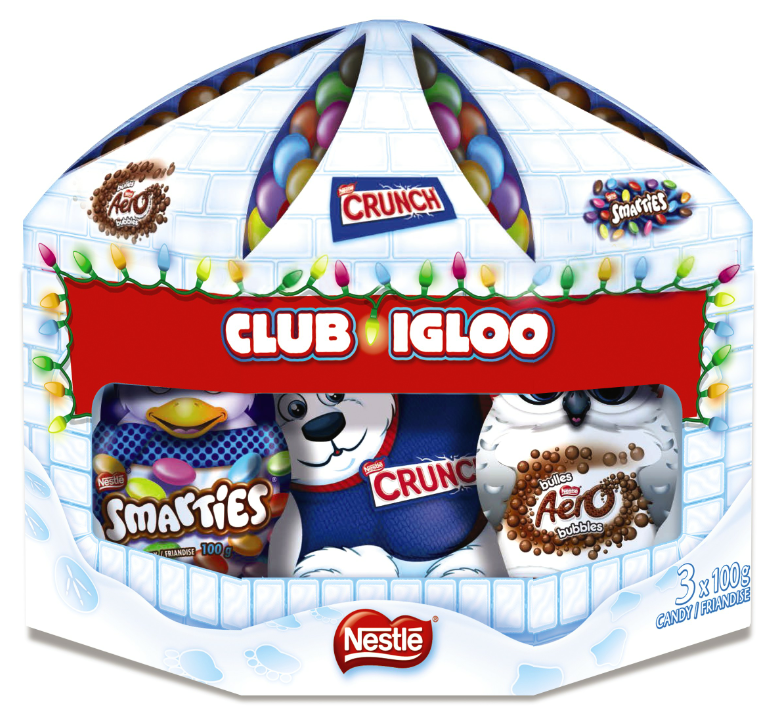 I like the Nestle Club Igloo and the mini LEGO boxes. I like the Canada Doodles book. I might have to go and buy a few copies since it would make a good gift to little family members that live over seas. Canada Doodles looks like fun to me. I like the 3D Car Puzzles. My favourite stocking stuffer shown here is the Reflect-a-Sketch. My granddaughter would love it! I love the Canada Doodles book! I love the reflect-a-sketch and the Nestle treats! I love this, there are some ideas here I’ve never even seen. My two favourite things on this list are the reflect-a-sketch and the inroads tape. My favourite gift idea is the barbie outfits. I would have loved that as a child! I like the reflect-a-sketch very much. It allows a child to draw and experience creatitive positive drawing and may encourage a child to go on and try other artistic goals! Great gift ! The Muchkin bath Crayons. I was looking at some but they were $15 and I thought that was a bit much. These are much more affordable. Next time I make a well.ca order I’ll add those. I like the A Reflect-a-Sketch kit. I like the Reflect-A-Sketch. I can remember playing with this obsessively as a child. 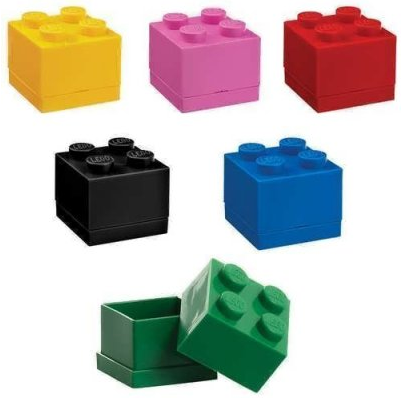 I like the Lego mini boxes! I’m already a subscriber :). My niece would absolutely love the Reflect A Sketch! i think the reflect a sketch and the lego trinket boxes are both fun gift ideas for kids. The trinket boxes would be excellent for advent calendars. Love the “reflect-a-sketch!” If I win this prize I will put it away with the other toys I picked up on sale on Boxing Day to be donated to the Angel Tree, Toys for Tots, and other programs in my area. 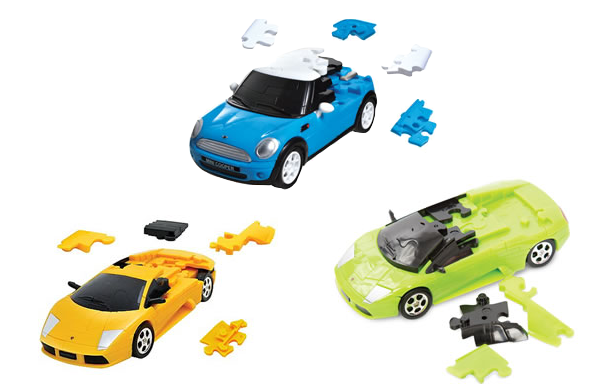 the 3D car puzzles and Lego Mini Trinket Boxes make great stocking stuffers. I like the Reflect-a-Sketch kit. Absolutely love that play tape and how affordable it is. Can make designs on table top, walls too. So fun. 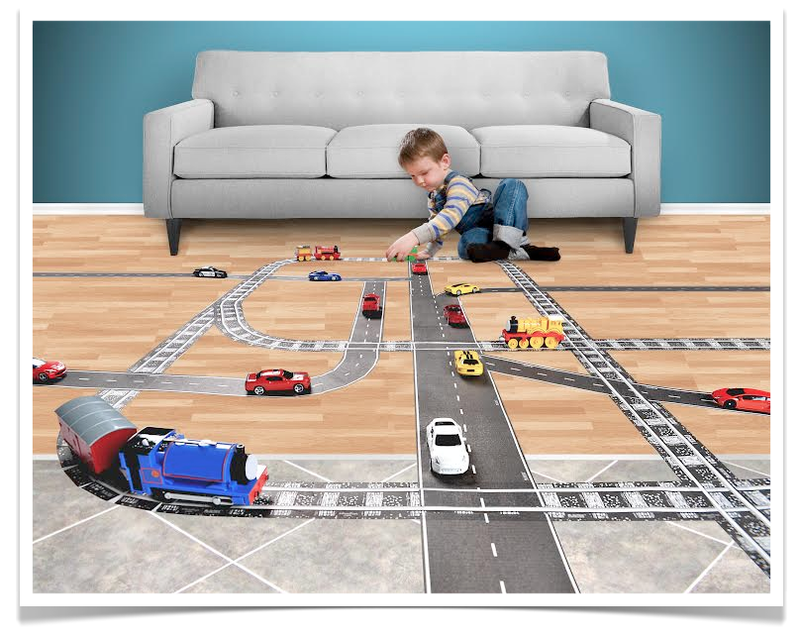 I think the 3D car puzzles are great – my nephews would love them! I love the 3D car puzzles and my grandsons would too! Love the Barrel of Monkeys!